Unbelievable 12,200+/- acre South Texas Corporate lease available. Extensively managed for Trophy Whitetail deer. 5 deer Over 200” killed in the last 3 years. MLD 3 for the past 12 years.VERY NICE lodging on site. Other houses for your guests, cooks, guides etc. Misc. Equipment available for you to use on the ranch such a 320 excavator. 2 Dozers, back hoe, cab/air tractor with 15’ batwing mower, double roller chopper, top drive hunting truck and other misc hunting vehicles that can be used on ranch. This is a turn key package. 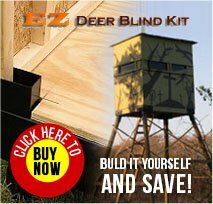 Everything you need to start your own program is already here including 30 blinds / feeders and 4 10,000# feed bins. For more info or to setup a time to see the ranch give me a call.